I bought this magazine because I liked the cover. as it turns out I love the inside too. colouring, well crafted pieces of writing, beautiful images. I think it is my new mindful exercise. looking forward to the next issue. 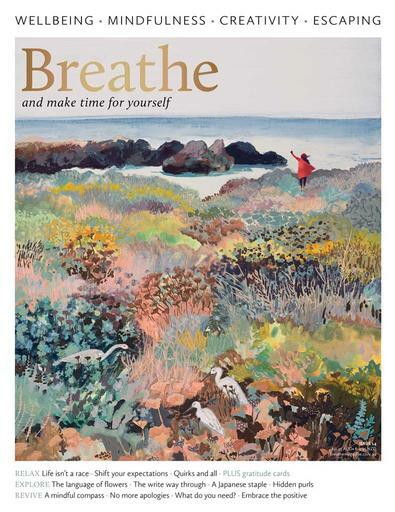 As the title suggests, breathe is a burst of fresh air! Each page feels so lovely to turn and devour all the words! It has some great information about how to remain calm, mindful, stress free and just happy! Love it!